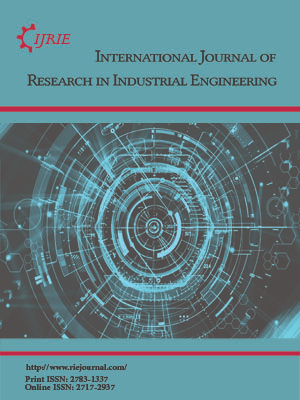 This paper presents a mathematical model for a facility location-allocation problem in order to design an integrated supply chain. We consider a supply chain including multiple suppliers, multiple products, multiple plants, multiple transportation alternatives and multiple customer zones. The problem is to determine a number and capacity level of plants, allocation of customers demand, and selection and order allocation of suppliers. A multi-objective mixed-integer linear programming (MOMILP) is presented with two conflicting objectives simultaneously. The first objective is to minimize the total costs of a supply chain including raw material costs, transportation costs and establishment costs of plants. The second objective function aims to minimize the total deterioration rate occurred by transportation alternatives. Finally, by applying the fuzzy goal programming, the model is solved as a single objective mixed-integer programming model. An experiment study shows that the proposed procedure can provide a promising result to design an efficient supply chain.